Research Specialist Becky Garley at the VINDTA 3C that can measure total alkalinity (TA) and dissolved inorganic carbon (DIC). 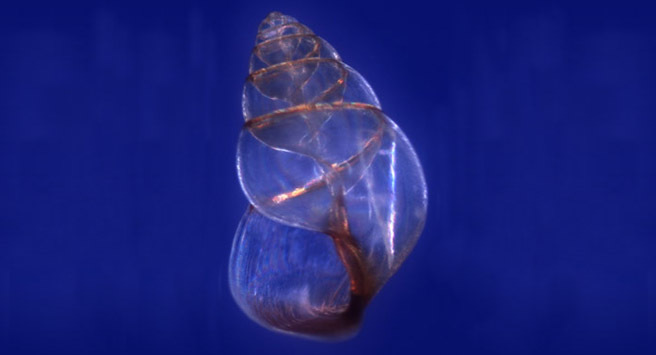 A translucent shell of the pteropod Limacina bullimodes collected in the particle flux at 500m depth. 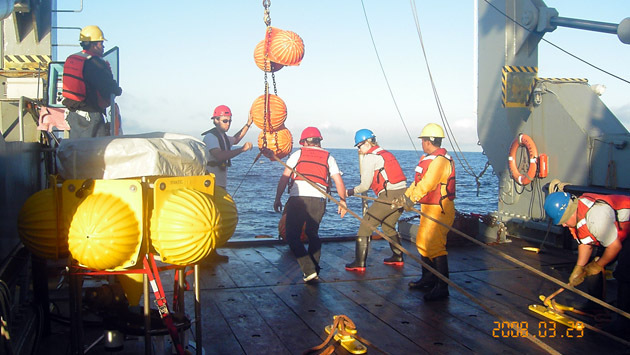 The Oceanic Flux Program (OFP) is the longest-running time-series of its kind, continuously monitoring the types and numbers of particles within the water column of the Sargasso Sea. On Earth, life and climate are inextricably linked through a variety of interacting cycles and feedback loops. Because these cycles involve biological, geological and chemical processes, scientists refer to them as “biogeochemical cycles” – with the carbon cycle being of particular focus for many research studies. 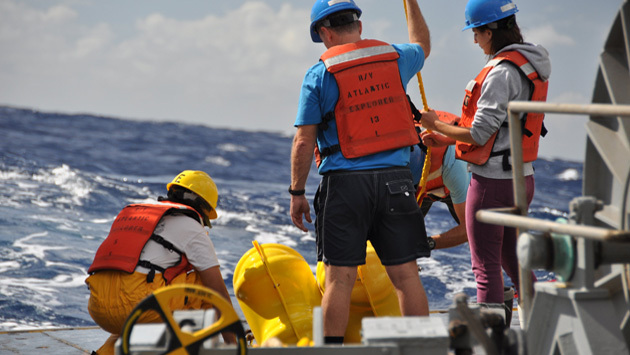 BIOS’s long-running ocean measurement programs – the Bermuda Atlantic Time-series Study (BATS) and the Oceanic Flux Program (OFP) – are valued assets within the oceanographic research community, having enabled seminal advancements in the field of marine biogeochemistry. Hundreds of studies, carried out by collaborating scientists from every continent, have utilized these data to document climate changes. 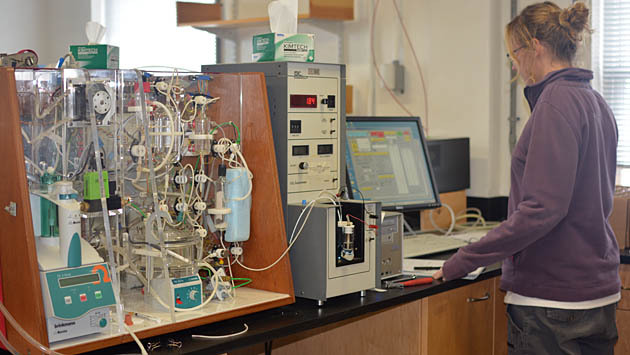 The Marine Biogeochemistry Laboratory supports the BATS program and several other biogeochemistry initiatives throughout the world. Conducting long-term studies on the effect of light on the structure of biological communities and the ocean’s biogeochemistry via the Bermuda Bio-Optics Project. Utilizing robotic vehicles to measure and assess the contribution of small-scale processes to the ocean’s biological productivity and its biogeochemical cycles via the Mid-Atlantic Glider Initiative and Collaboration (MAGIC). Investigating the links between the ocean’s changing biogeochemistry and marine life such as phytoplankton, zooplankton and other small marine animals, and Bermuda’s coral reefs.